Odolná plošina z lehkého hliníku, protiskluzová. Nohy jsou jištěné 2 pružinovými háčky. 150 kg nosnost. Certifikováno podle BS2037. Rozměry (d x š x v): 600 x 300 x 500 mm. 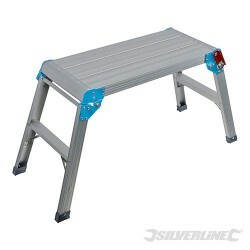 Strong, anodised aluminium construction with non-slip tread surface and anti-skid feet. Fold-away legs are secured by 2 safety catches. Platform dimensions (L x W x H): 1440 x 450 x 800mm. 150kg capacity. Weight 5.0kg. Certified to EN14183:2003. 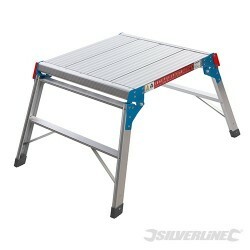 Strong, anodised aluminium construction with non-slip tread surface and anti-skid feet. Fold-away legs are secured by 2 safety catches. Platform dimensions (L x W x H): 600 x 600 x 500mm. 150kg capacity. Weight 6.55kg. Certified to EN14183:2003. Strong, durable polypropylene construction with anti-slip surface. Folds flat for convenient storage and transportation. Ideal for use around the house, garage and workshop. Standing dimensions: 310 x 220 x 230mm. Folded dimensions 365 x 352 x 46mm. 150kg capacity. Weight 1.2kg. Certified to EN14183. 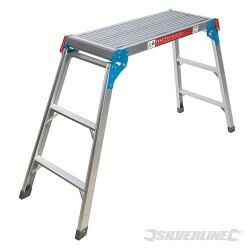 Lightweight, strong, anodised aluminium construction with 12 treads and secure click-and-lock hinges. 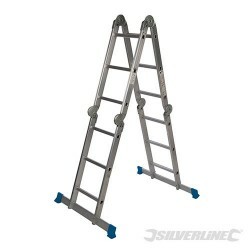 Multi-function ladder turns into step ladder, extension ladder, stair ladder or work platform. 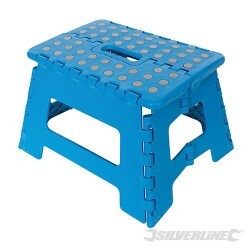 Includes 2 durable non-slip steel planks. Full length 3.6m. Scaffold height 980mm. 150kg capacity. Weight 12kg + 4kg platform planks. Certified to EN131. Odolný 9ti příčkový teleskopický hliníkový žebřík se zakřivením nohou proti skluzu. Univerzální, lehký, kompaktní a snadno skladovatný. Ideální pro použití v domácnosti a garáži, kde konvenční žebříky jsou příliš objemné. Aluminium construction with durable polymer wheels. 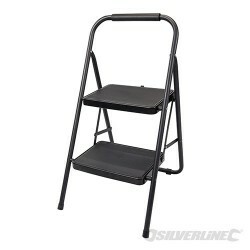 Converts most standard ladders into roof ladders. Plastic-coated roof hook securely attaches over roof ridges with ladder ridge hooks. Polymer wheels avoid damage to roof slates and tiles. 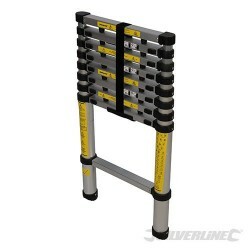 Fastener pack included for easy ladder conversion. 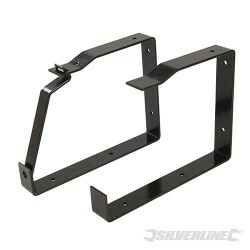 Durable steel garage ladder hooks, powder-coated for resistance to harmful weather conditions. 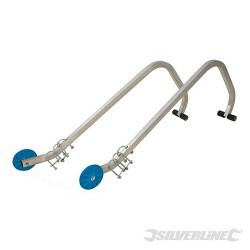 Universal ladder hooks provide a safe, convenient and secure storage of ladders. Can be mounted on walls or ceiling. Each hook measures approximately 235 x 175mm.